The final ever episode of much-loved comedy Still Game will be broadcast next week when its ninth series comes to an end. Writers, creators and stars of the show, Ford Kiernan and Greg Hemphill, announced last year that this series would be the last, with plans to put the characters into comedy retirement. And fans of the show are now being asked to vote for their favourite episode of all time. Ten of the most-watched episodes from series 1-8 of Still Game (2002-2018) have been selected and viewers can vote for their No.1. The episode which tops the poll will be announced on The Nine on Thursday, March 28 and will be screened the following evening on Friday, March 29 at 10.30pm on the BBC Scotland TV channel. Voting is now open and closes on Wednesday, March 27 at 5pm. 1. AFF (Series 3) - Victor feigns illness to get some long distance sympathy, but may come to regret crying wolf. Meanwhile the future looks bleak for Winston’s foot. 2. DOACTERS (Series 2) - Yankee happy pills are proving more of a temptation to Jack and Victor after they bump into their old pal Stuart. 3. DRAMA (Series 5) - Life in Craiglang is getting Jack and Victor down, until they discover an endless supply of free whisky. Winston runs into an old enemy at the bookies. 4. DUG (Series 2) - Victor wins a dog in a pub competition. And Jack feels blue after watching a video of his family in Canada. 5. GRIM UP NORTH (Series 8) - A creepy new undertaker moves into Craiglang. As Isa spreads gossip he’s the grim reaper, the residents become spooked - but what is he really up to? 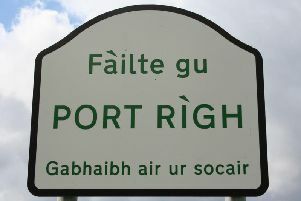 Quiz: How good is your Scottish Gaelic? 6. HOT SEAT (Series 6) - Craiglang is in the grip of a hot spell. Jack and Victor have found the perfect place to relax in the park on the ultimate bench, but unfortunately Tam and Winston have the same idea. Isa receives news about her ex-husband Harry that changes her life. 7. HYPER (Series 6) - Navid’s business is suffering at the hands of corporate giant Hyperdales as his regular customers’ loyalty is put to the test. Tam is going through some bizarre changes. 8. JOB (Series 7) - Charity begins at home as Jack and Victor offer a helping hand to Methadone Mick. A parking fine from the past comes back to haunt Winston, and Boabby’s award glory goes awry. 9. WADDIN (Series 1) - When Jack and Victor aren’t invited to the wedding of the year, they decide to do something about it. Meanwhile Winston has his own plan to get an invite. 10. WHO’S THE DADDY? (Series 4) - It’s three men and a baby all over again, except the baby is a grown man wanting to knock down the Clansman, and the three men are Jack, Victor and Winston. Tony Nellany, Channel Manager, BBC Scotland said: “From devil dugs to creepy undertakers, Scotland’s favourite pensioners have had many an exciting adventure over their 17 years on TV. “As Still Game nears its much-anticipated finale we invite the audience to be part of the send-off and vote for their favourite episode from the most watched shortlist.